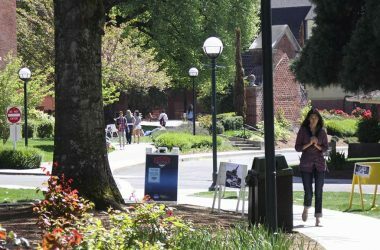 Admission | Western Oregon University works hard to make the admission process easy and quick. Get a checklist of items you need to fill out the application, no matter whether you are a high school senior, a transfer student or looking to get a graduate degree. Western Oregon University wants to see you here! We strive to make visiting our campus and applying for admission super easy because we know that once you’re here, you’ll be hooked. Every new student wants to be part of a community, and that’s what WOU provides. Whether you just graduated high school, are transferring from community college, finishing up service to our country, or coming back to the university after a long time away, the WOU campus will feel like home. If you are starting as a freshman, transferring, an international or a graduate student – you’ll need to choose your program and find your specific requirements. Follow these four simple steps to submit your online application. After your online application is complete, this is the time to submit your supporting documents, apply for housing, and learn more about financial aid opportunities. This is also a great time to begin planning your visit to WOU. Congratulations on your acceptance to Western Oregon University. Whether you are a freshman or a transfer student, this page will help you understand what happens now. 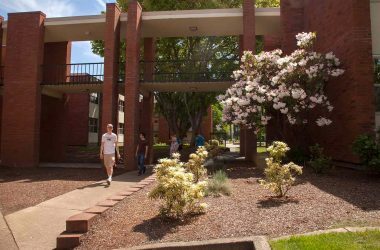 It’s easy to get started on your successful transition to WOU. “Non-admitted student” is used to describe a student who is taking courses but is not working to achieve a degree. These students may be taking classes for professional enrichment or for personal development. Non-admitted students are required to follow all the same rules of the university as degree-seeking students.